Any company can and shall make a choice at a certain stage of its development. We made our choice and decided to penetrate regions. Now, it has been almost 3.5 years since we have expanded our presence all over Kazakhstan, but we faced many difficulties that we would like to note and share our experience with other consulting firms dealing with legal issues. This article is aimed to encourage firms to contribute in the regions’ development. Last year we celebrated the 25th anniversary of the firm and this year it is the 20th anniversary of Astana office. It was very important and historical moment for us, especially given that Astana office kept developing the regions and became the centre of all Kazakhstani offices. Let me also take the opportunity to express appreciation to our clients for their trust. Firstly, when we started opening regional offices, clients expected that we would provide a wide range of legal services, while we recommended them engaging us only in one or several areas of our focus, for example, litigation. There was also a high demand in this area of our focus in regions. This makes sense, since we represent the largest network of lawyers and attorneys on litigation and civil (commercial, corporate) disputes. There is a clear differentiation in our firm, under which our team members, who include ex-judges, lawyers from leading international law firms, deal with issues only within their focus area every day, which forms the respective unique experience. We state with all our confidence that we are not able to do everything that clients want, because we do not put a priority on getting all the leads and pursuit of money, and this is highly appreciated by our long-standing clients. Moreover, we always try to find other experts dealing with the issues not covered by our focus area for our clients. For us, clients' interests are more important than our short-term returns. Of course, many can say that this is obvious; however, it is not easy to put this position into practice, because it is quite hard to throw away the chance to gain profit. During our internal annual meetings, we actively discuss these issues and conclude that we had made the right choice. We had to say good-bye to some representatives, because most professionals find it extremely difficult to deny a job, especially when they do not have immediate leads in the region at the early stage. At the end, we found team members, who have strong confidence in the systems approach and share our principles. Thus, it is always better trying to find your competitive advantages through a narrow focus area in your products (services), including the correct market segmentation for you and your region, without engaging in everything, like many other companies. Secondly, we work with large and medium-sized businesses only, although small companies, individual businessmen and individuals contacted us in the early years. Here is the same simple logic as mentioned above, i.e. a clear differentiation in services and application of this principle in specific sectors. Thirdly, high budgets. It should be noted that we are still working on this issue, since many, even large companies, ask for a very low budget for large and complex disputes. In this case, we explain the costs of man-hours, regular brainstorming on choosing the right strategy for a certain case, as well as participation in court proceedings, which can be lengthy for several reasons, e.g., the appointment of forensic examination, in which case we begin working with experts, forming and building a line of defense, and asking the right questions. At the same time, regional development and the network throughout Kazakhstan, in addition to the promptness, provides for a strong advantage in optimising travel and transportation costs. In this case, the progress of new technologies is very helpful, but on-line representation is not developed in the courts yet. Nevertheless, we hope that it will become possible soon, especially in view of the last annual Message of the President of the Republic of Kazakhstan on the introduction of innovative technologies and mass digitalisation. We are often told that competitors offer lower budgets, especially attorneys in the regions, but we do not worry about the fair competition and know our competitive advantages, for instance, our firm has a whole team of experts, which provide for the instant interchangeability. 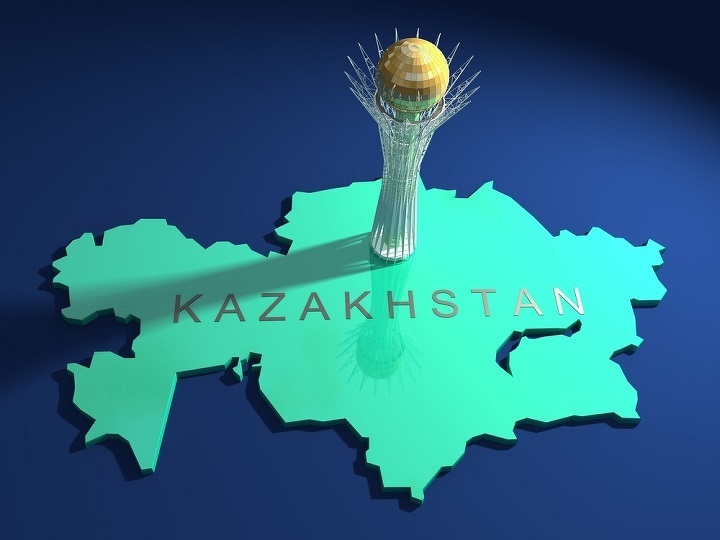 Moreover, GRATA alumni work almost in all law firms in Kazakhstan and we are happy about this. Here is an example from Astana office experience. When we opened our Astana office once again (the so-called 'second wind' in 2009), we started working with national companies and realised that there was almost no competition among legal advisers at that time and there were very customised individual requests and, therefore, overstated budgets. Thus, we started to fight with this in a fair competition and then noticed that other international law firms joined this fight on this process. Besides, strengthening of control functions in the procurement system and openness thereof was also very helpful. This experience helped to form the right pricing policy, professional criteria for a legal adviser for relevant projects and improve the quality of the services provided. Fourthly, you should not compare the markets of regions and large cities, including western cities, since even the latter have their own characteristics in business and economy. During one our internal meetings, I mentioned above, one of our representatives asked: "How can we quickly achieve the budgets of Almaty or even Astana?" The answer was very simple; there should be a systematic strategy, because the process will not be fast. It is necessary to understand the difference in the markets, not to expect quick payback and you should gradually benefit from the implementation of the regional strategy. It is important to note the pioneers, since the chances for a maximum effective market share are much higher. The next important point is that the regional development shall be implemented by local specialists even in one country, because there are regional specifics of doing business. Many people in this case may argue about qualification of specialists. Our experience, however, has shown that it is always possible to find a good specialist, perhaps without foreign language knowledge, but giving him/her the opportunity to gain practical experience through systematic internal trainings. You will feel the required changes immediately, and the rest can be compensated by the teamwork, with linear algorithms within the firm. Another question is that you need to constantly monitor this process, but this is a topic for another article. The final point to be noted is that the role of the local executive power in the regions is much greater than in Almaty and Astana, so it is necessary to cooperate with Akimats of regions and cities, because almost all the projects in the regions are viewed by them and are implemented only with their approval. Special attention shall be also given to the active work of the National Chamber of Businessmen (NCB) in the regions, however, the firms themselves shall be active. Such associations at least allow businessmen to feel that they are not alone in the regions and that there is an opportunity to unite and meet with others to discuss current issues. This is an important point to note, since companies need to understand that the market in regions is small and coordination and integration will definitely give benefits. The clients now are very picky, especially in the regions, where there are not so many large companies that can afford advisers and consultants, therefore, there is no need to chase every opportunity to earn. Do not panic, use your competitive advantages, listen to the given advice, and confidently move to work in the regions, if you are not there yet!